Good to see you. I’ve been traveling but will be back home tomorrow. How’ve you been? Busy with school? Houdini, what a welcome blast from the past. It would be nice to be mutually shackled, wouldn’t it? Lol. It depends on to whom you’re being shackled. 😊. Thank you for visiting and commenting! Yes, it’s a good thing Houdini isn’t here! I’ve heard it’s a dangerous thing to frustrate an escape artist. 😊. I appreciate you stopping by and commenting! I hate having to pick. We’ll give you the whole bag of tricks then😜. Houdini was known to hide keys…in places no one would imagine…or dare to search. Wow! I never knew that about Houdini. Thanks for that info! He must’ve had a keychain. You know; so he could unlock any chain in the world. Lol. Hey, what do you call a magician who’s a dog? Yeah! He used a keychain! I didn’t know canine magicians existed. What do you call them? but Houdini would understand, in spite of the frown. he was a good man. He seemed like a cool dude from what I’ve read. 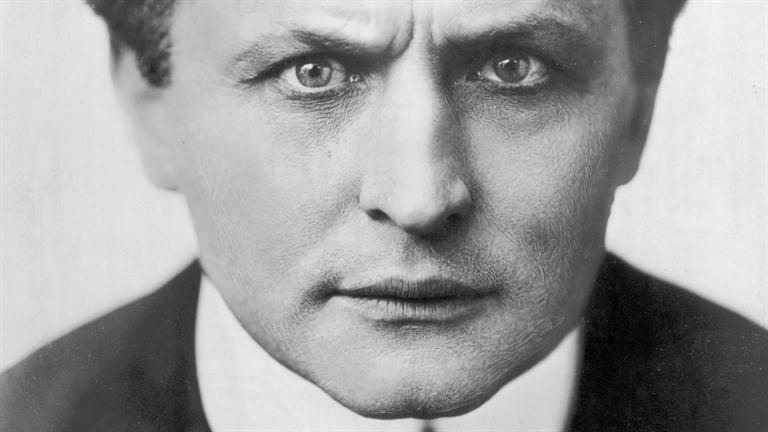 Long live Houdini…his fame spans all locks, creeds, deeds. Long live the Haiku and especially your Haikus. Just as long as the writer and the person she’s shackled to don’t now jump into a box and then have themselves lowered into a water-filled tank. Ooh. Look at you, miss poet. 😀 Nice! you’ve hit the nail on the head. The problem is something that too few people are speaking intelligently about. Silly man to have died so young and at the height of his abilities… The moral of the tale is to not let your students randomly punch you in the appendix, I suppose. Tidy little haiku – you do pithy perfectly.